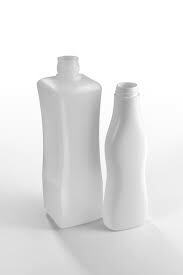 SITTARD, The Netherlands, February 21, 2013 – Producers of blow molded bottles for household and industrial chemicals and for personal care will soon be able to benefit from an added choice in supply of bimodal high density polyethylene (HDPE). SABIC is readying facilities at its plant in Gelsenkirchen, Germany, due to start of commercial production in the second quarter of this year, with grades suitable for containers up to 5L. The same grades, as well as grades intended for jerry cans, drums and other large containers, will also be produced at one of the company’s plants in Saudi Arabia; production there will start in the third quarter of 2013. “Some processors are concerned about future supply of bimodal HDPE grades from Europe,” says Mario Scholle, Business Manager Bimodal HDPE at SABIC, “so we think this is the right time for us to support the market by including Bimodal HDPE Blow Molding grades in SABIC’s product portfolio. We already have a strong line-up of unimodal HDPE grades, and we have now decided to take advantage of our strong position in process technology and catalysts to introduce bimodal HDPE grades that we expect to stand out in the market.”SABIC has been accelerating grade development in recent months, and will be fine-tuning the new grades during the first quarter prior to their formal launch. It is already talking with potential customers to ensure that the new grades fulfill their requirements. Initially, the Gelsenkirchen plant will supply two grades, both with a density of 0.958 g/cm3, with melt flow rates (MFR) of 22 and 28 g/10 min (21.6 kg) respectively. Bimodal HDPE (which exhibits two peaks in its molecular weight distribution) has an excellent environmental stress crack resistance (ESCR) and has low die swell. In some cases the new grades can also provide customers productivity advantage such as a faster cycle time or weight-out. “SABIC has built up substantial knowledge in this area, with extrusion grades for high performance pressure pipe and for film”, says Gerrit-Jan Bekink, Technical Marketing Engineer HDPE at SABIC.